You know how people say they have a second stomach for desserts? I’m not sure about waffles or cheesecakes, but a matcha soft serve ice cream definitely never feels too heavy, no matter how big your dinner was. It has the bitter but not-that-bitter tea taste which helps offset the sweetness of ice cream. Now with the growing popularity of these “green” desserts on Instagram or Facebook, this matcha craze is pretty irresistable! 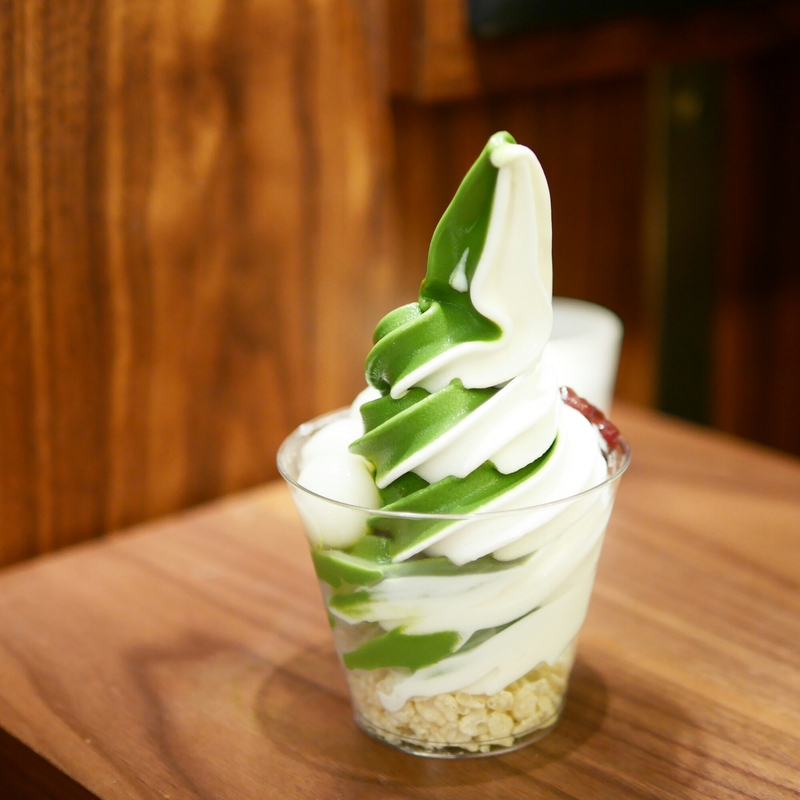 Let’s have a look at three matcha soft serve specialty stores today! Via Tokyo is my number one matcha ice cream store! 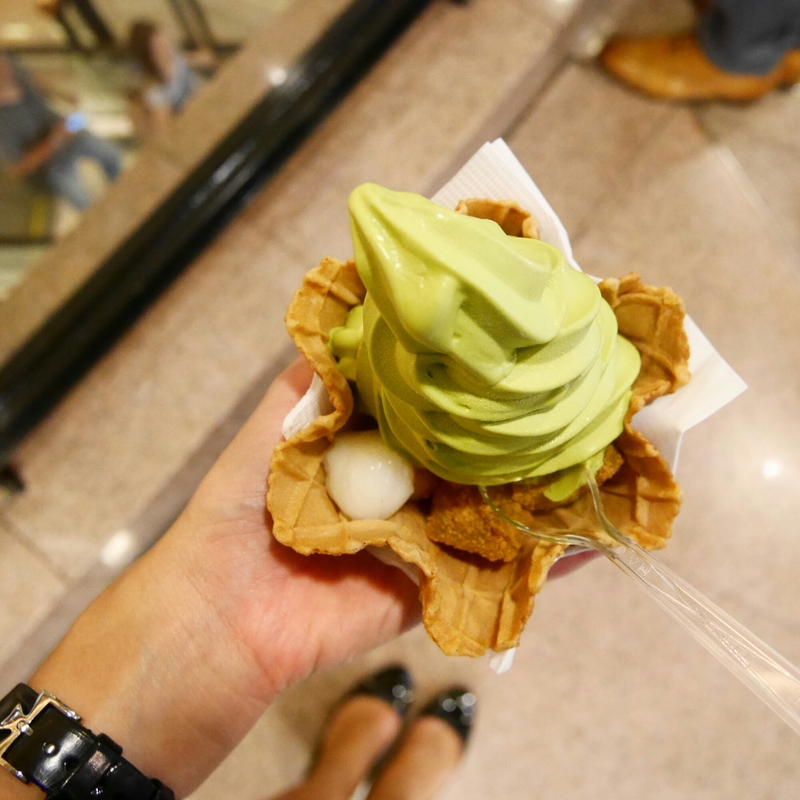 The ice cream is smooth and strong in matcha taste – you pretty much can’t go wrong with any of the soft serve combos they serve here. Via Tokyo is located on 106-126 Leighton Road, Causeway Bay. There is often a wait for sit down – but you can get it to go too! As one of the new parlours to enter the dessert scene, I Cremeria does impress. The taste and texture is distinct in that it’s intensely strong in matcha, while being a little icy (rather than creamy). For me, this meant that it was best mixed in a swirl with their milk ice cream. I Cremeria is located on 1/F Fashion Walk, Causeway Bay. Sweets House Cha Cha is one of the pioneers of this green tea fad, and they continue to invent new delicious matcha desserts – their matcha custard puff is to-die-for by the way. 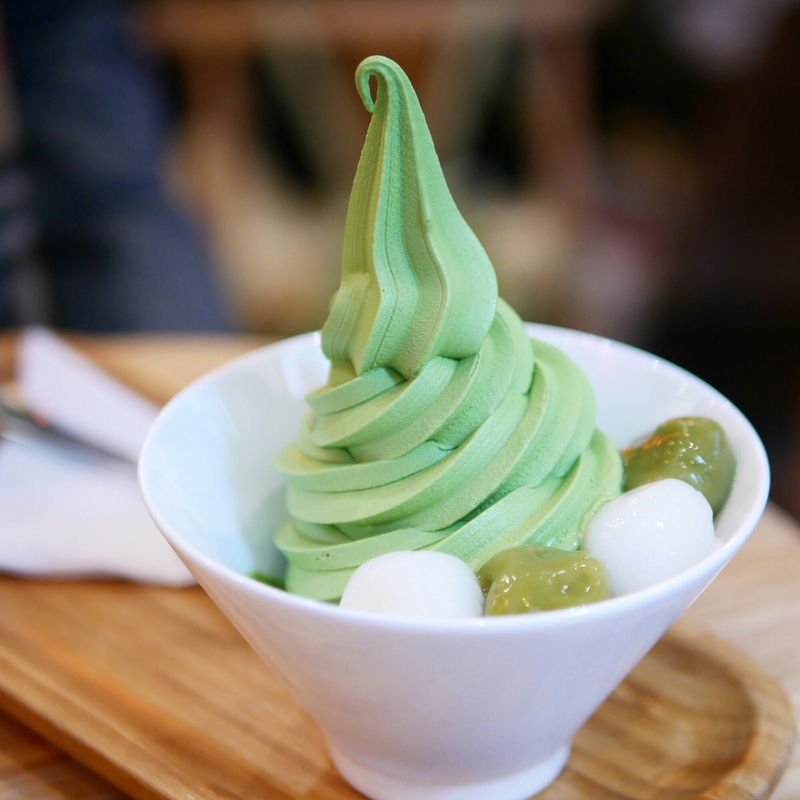 Their soft serve is less matcha-y and sweeter too. Swirling the milk ice cream in usually makes it too heavy for my liking. Sweets House Cha Cha is part of City Super and is located in Harbour City (Tsim Sha Tsui), New Town Plaza (Shatin), Times Square (Causeway Bay) among others locations.